Over the past few weeks there has been deep concern voiced by Kenyans with regards to the rising cost of living in the country. Kenyans want to know why their money doesn’t go as far as it used to in the past. There are several variables at play here the first of which is a no-brainer: the drought. The drought has had the effect of destroying food crops and livestock leading to cuts in the supply of food products. Yet the demand for food expands each year as new Kenyans are born. The drought has created a situation where food demand far outstrips supply leading to an increase in food prices and food price inflation. The second factor at work is the fact that Kenya is an import economy of which food products are a key import. With the strengthening of the dollar as the US economy recovers, the relative depreciation of the shilling (albeit marginal), is making imported goods more expensive and slowly exerting inflationary pressure on food prices. Thirdly, the interest rate cap has led to a noticeable decline in lending. And although the cap counters inflationary pressure through a contraction in liquidity, the cap means the small loans Kenyans used to qualify for to meet urgent expenses are no longer coming in. As a result, the reduced cash flow for the average Kenyan means that they have to make the little they earn stretch even further as they do not have the cushion of short term loans on which to rely. The effect is that Kenyans feel more broke now than they did last year. Finally, it would not be a stretch to surmise that there are more Kenyan Shillings moving around in the economy due to the election. Money is being spent on election related expenses that are not present during a non-election year. To be clear, there is no hard data on this which is a shame; there should be a study to assess the extent to which election spending pushes up inflation. I raised this concern with an expert a few years ago; I asked him how the government will manage the likely inflation linked to ‘artificial’ election-related spending. He told me that it would correct itself in the medium to long term as that extra liquidity leaves the economy post- election. The factors detailed above inform why there seems to a money crunch for many Kenyans. And sadly, the interest cap has shut off the tap of liquidity on which Kenyans use to rely in times like this. The truth of the matter is that there are no quick and ready solutions to this issue and short term remedial action will not address the structural problems of Kenya being an import economy and the ravaging effects of the drought where millions, if not billions, of shillings in agricultural assets have been lost. And since it is an election year, the related spending will continue and there will likely not be the will to reverse the interest rate cap–not until elections are over. Government and non-government actors should take this time to assess the various issues elucidated above and develop strategies to buffer Kenyans from the confluence of factors currently making life difficult for so many Kenyans. This entry was posted in Africa, Capital Markets, Development economics, Economics, International Finance, Kenya, Political Economy and tagged drought, elections, forex rate, interest rate cap. On May 11, 2017 I was interviewed on cost of living issues in Kenya. This entry was posted in Africa, Capital Markets, Development economics, Economics, International Finance, Kenya, Political Economy, Politics and tagged cost of living, Democracy, devolution, drought, inflation. Kenya registered relatively healthy GDP growth in 2016 at 5.8 percent. This is an important figure as the average rate of growth for Africa in 2016 was 1.3 percent. It has been noted that in Africa’s current multispeed growth phase, East Africa will be important in pulling up the economic growth of the continent due to limited exposure to the commodities and fairly diversified economies. In this context, Kenya is important for the continent’s growth as East Africa’s largest economy. That said, it should be noted that there are clear threats to robust economic growth this year. While there are external factors that may mute growth such as Brexit and new policies by the Trump administration, the focus of the analysis in this article will be on domestic threats to growth in 2017. The first threat is the drought; the Central Bank of Kenya (CBK) has already warned that the economic growth will be negatively affected in 2017 due to the drought. The production of Kenya’s key export, tea has been ravaged; production is expected to drop by 12 to 30 percent. And it cannot be guaranteed that any loss in forex due to lower volumes will be mitigated by higher tea prices. Livestock production has also been devastated. It is estimated that the drought has led to losses of 40 to 60 percent, particularly in the North East and Coast. Secondly, the drought has pushed up inflation which stood at 10.28 percent in March, far above the government ceiling of 7.5 percent. The cost of food has been particularly affected, forcing low income families to put more money aside for basic food needs. Finally, the drought has led to higher electricity prices due to Kenya’s reliance on hydropower; about 39 percent of installed capacity is hydro. Increases in the cost of electricity inflates the price of manufactured goods for the end consumer. 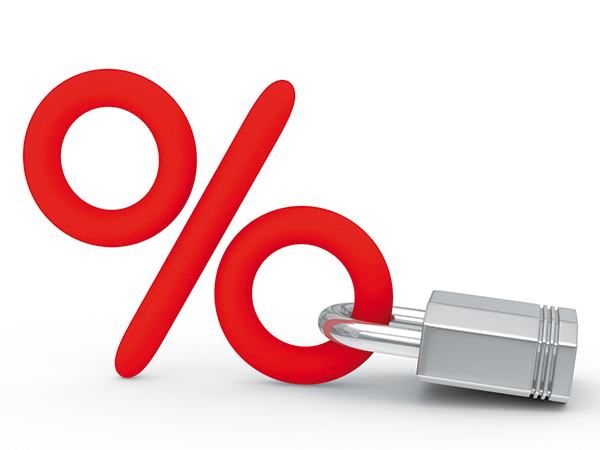 The second threat to Kenya’s economy is the interest rate cap which is linked to a contraction in lending. As this paper reported, Treasury stated that lending to businesses and homes grew just 4.3 percent in the year to December, down from 20.6 percent in a similar period in 2015. The 4.3 percent credit increase is well below what the CBK says is ideal loan growth of 12 to 15 percent which is required to support economic growth and job creation. Muted lending, particularly to SMEs due to the interest rate cap, will put a damper on the country’s growth engine. The final threat to Kenya’s economy this year is the general election. Business mogul Aliko Dangote made the point that in Africa many investors often choose to wait for an election outcome before making further investments. Wary local and foreign investors pull back investment in a country and adopt a ‘wait and see’ attitude until elections are finished and the stability of the incoming administration has been established. The IMF echoes this concern stating that the elections in Kenya this year may contain growth momentum. The reality is that economic growth ought not be affected by any of the factors above; they could be avoided or better managed. And while the economy is resilient and will continue to grow, the economic impact of the factors detailed above is already being felt by millions of Kenyans. This entry was posted in Africa, Development economics, Economics, Kenya, Political Economy, Politics and tagged drought, elections, interest rate cap. On Monday February 27, 2017 I was interviewed by Citizen TV on the State of Kenya’s Economy. This entry was posted in Capital Markets, Development economics, Economics, frontier markets, Kenya, Political Economy, Politics and tagged drought, elections, interest rate cap. Over the past few months we have seen a severe drought ravage our country. The loss of life and livelihood for so many Kenyans is truly devastating. But what we must realise is that the consequences of the drought impacts the lives of the populations in the domicile counties as well as the rest of us. The reality of the matter is that the drought is not only affecting the lives of our fellow Kenyans, it is also affecting monetary policy. The Central Bank of Kenya (CBK) is in a tight fix with regards to the ramifications of the current drought; there is pressure to increase the Central Bank Rate (CBR). We have a serious drought on our hands; not only will it increase the cost of food, it will increase the cost of electricity. As the drought bites, food will be more scarce and the demand for food will outstrip the supply thereby placing upward pressure on food prices. Additionally, as a significant part of our electricity grid is powered by hydroelectricity, the lack of rain means that the dams do not have a sufficient amount of water to run effectively; as a result the country will have to switch to more expensive sources of power such as thermal power that will drive up the cost of electricity. These factors will drive inflation upwards and will force Kenyans to pay more for basic goods and services. On top of this is the increase in the cost of fuel. So the pressure here is to increase interest rates and the CBR and limit money supply to control inflation. Yet in doing so, the CBK will make money even more expensive. At the same time, we are witnessing the effects of the interest rate cap; liquidity is tightening. Kenyans are finding that they no longer have access to the loans they used to qualify for. Small and medium businesses are seeing that they no longer have access to the credit lines to which they had access to in the past. Kenyans can no longer get that loan to boost their business or pay for emergency medical expenses because banks have become very risk averse. In a country with a poor tracking system with regards to credit worthiness, banks cannot differentiate between good and bad borrowers. 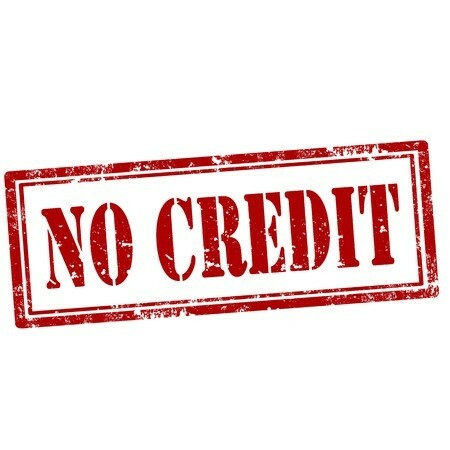 As a result they seem to prefer to just limit lending altogether and restrict the amount of credit they are giving out to individuals and businesses. So what does this mean for the average Kenyan? Well it means that they have less money; and when you couple this with the cost of food, energy and transport increasing, Kenyans are feeling increasingly broke. Kenyans will have to pay more for access to the same quantity of food, energy and transport that they used to access in the past. In short, life is becoming more expensive. But ironically, the best way to address the effect of the interest rate cap would be to increase interest rates to a space where banks feel they can lend comfortably. We are in an interesting space where increasing interest rates may expand liquidity as more people would qualify for credit. So there are several sources pointing for the need to increase interest rates. However, in increasing interest rates, monetary policy by the CBK will make money expensive for Kenyans. In increasing rates to mitigate the drought and address the effects of the interest cap, the government would be doing the opposite of what the interest cap was created to do; give Kenyans access to cheaper loans. Thus monetary policy is in a tight fix; there is a need to increase the interest rate but in doing so the CBK would engender an increase in the price of credit. It seems the CBK must ride off this season of contradictions and see when a space will open up for effecting monetary policy changes. This entry was posted in Africa, Capital Markets, Development economics, Kenya, Political Economy and tagged drought, interest rate cap, Monetary Policy. Yesterday I was interviewed by Citizen TV on the state of the Kenyan economy. This entry was posted in Development economics, Economics, Kenya, Political Economy and tagged drought, elections, fiscal policy, Monetary Policy.